Software House – Access Systems – Access Hardware Inc.
Software House has built a solid reputation in the security industry as an innovator of security and event management technologies through their continuous investment in R&D, and their demonstrated ability to leverage new technologies. By holding true to those three qualities, Software House technologies have become the solution of choice for thousands of security-conscious businesses around the world. These solutions are put to the test every day at nearly 10,000 sites worldwide. They are designed to be a part of your business infrastructure and have been engineered to grow as your business grows. There’s no other security solution on the market that gives you the extraordinary level of control that Software House solutions provide. Software House solutions put you firmly in control of streamlined business operations. Our Software House line provides all the software, hardware, readers and accessories you need to setup a total Card Access system solution. From access control to total control, C•CURE Solutions enable businesses to better manage their security and business infrastructures. 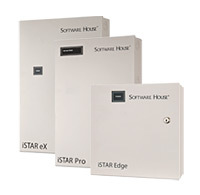 And, from simple applications to enterprise-wide implementations, Software House’s iSTAR Controllers and apC Alarm Management Panels are the heart of any security system. With choices ranging from proximity to smart card and biometric, Software House offers a readers and accessories for any level of security required. 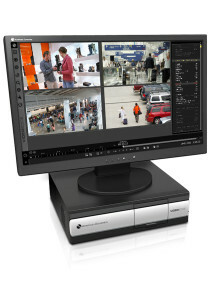 VideoEdge Hybrid is a powerful high-performance solution for recording and managing video from both your analog and IP cameras. It is compatible with 4:3 and HD 16:9 aspect ratio video formats. VideoEdge Hybrid provides multiple video streams for live, recorded, alarm, and meta-data collection, and supports MJPEG, MPEG-4 and H.264. For larger sites, VideoEdge Hybrid is also completely compatible with the victor unified client, allowing for later expansion of the system. … and do it all directly from your PC using the full C•CURE 9000 client, the web client, or on the move with the C•CURE Go mobile app. This flexibility in customization grants security professionals the freedom to deploy a unique security solution for their entire business, no matter where they reside. The system utilizes multiple CPU cores and 64-bit operating systems, making it one of the fastest and most secure solutions in the industry. Built from the ground up on our innovative integration platform, C•CURE 9000 delivers seamless integrations for critical business applications. To take our customers to the next level of security, we offer the ability to “unify” their security system. A single server and database provide seamless unification of best-of-breed video, access control, intrusion, fire, real-time location, and other supported security products for comprehensive situational awareness. All delivered in one intuitive and unified interface. For more details, go to the Unification or Unification Matrix tab.